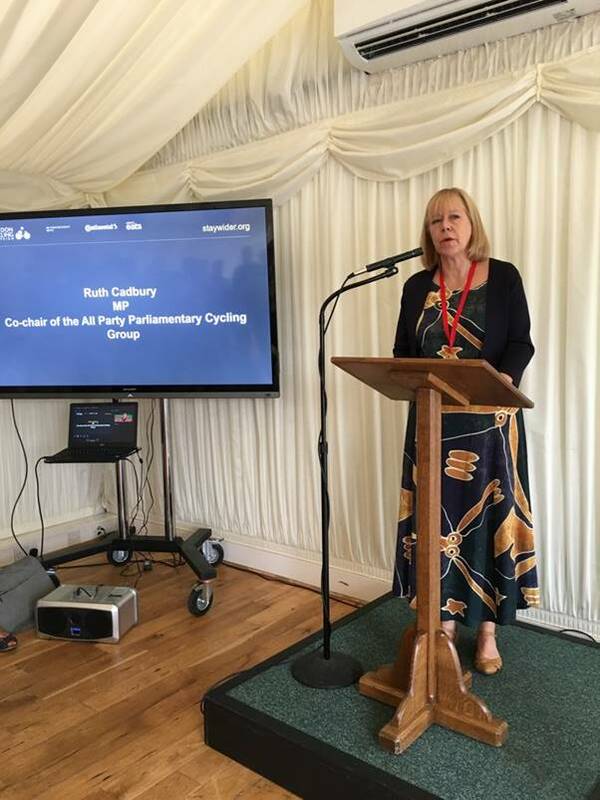 Ruth Cadbury hosted the launch of London Cycling Campaign ‘Stay Wider of the Rider’, as survey shows fear of “close passing” leads cyclists to change routes and feel intimidated on roads, in Parliament. Two thirds of cyclists regularly face road risks due to “close passing” by drivers. Transport Minister Jesse Norman vowed on Friday to crackdown on the menace by giving police support to tackle it, alongside a training pilot for driving instructors. Stay Wider of the Rider will see a social media campaign to educate cyclists and drivers about the distance that should be left when motor vehicles overtake cyclists fronted by a video featuring triathletes the Brownlee Brothers. Ruth Cadbury’s constituent Jeremy vine spoke at the event about his struggle cycling with his daughter in London, and also his altercation with a driver last year who was later jailed for 9 months.